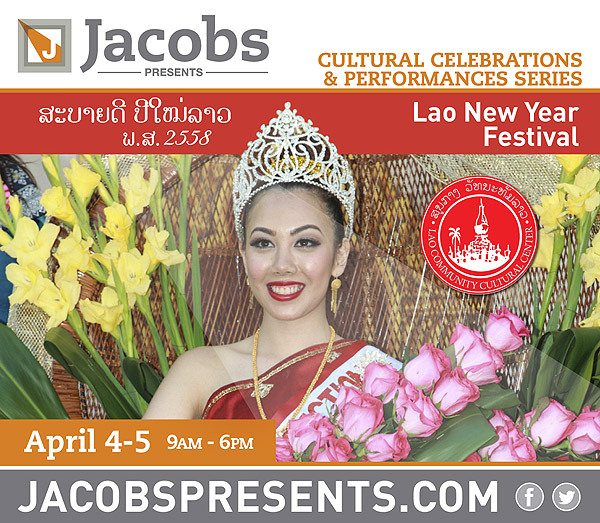 Bring the family and enjoy traditional and contemporary music, dance, crafts and authentic cuisine by the Lao Community Cultural Center. The two-day festival will also include traditional alms offerings to Buddhist monks, and the ceremonial procession for the seven daughters of the legendary king whose tragic death gives rise to the celebration of the Lao New Year. The event costs $3 per person to attend. Children in a stroller are FREE! For more information visit the Lao Community Cultural Center on Facebook or at www.LCCC-SD.org.